Previous research showed women receive lower startup funds from their universities to launch their research, but this is the first study to show women get less money when they submit grants to the federal government. “If women are receiving less grant support from the very beginning of their career, they are less likely to succeed,” says co-corresponding author Teresa Woodruff, professor of obstetrics and gynecology at Northwestern University Feinberg School of Medicine and director of the Women’s Health Research Institute. 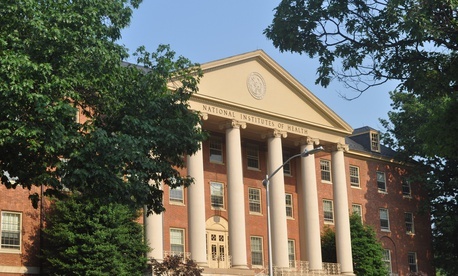 The backgrounds of the 53,000 first-time principal investigators in the study (57 percent men and 43 percent women) showed the men and women had statistically indistinguishable records prior to receiving their first NIH grant. They had published the same average number of articles, which received the same average number of citations across the same range of fields. “This means women are performing at a level on par with men, despite the fiscal disparity,” Woodruff says. For first-time principal investigators across all grant types (225) and institutions (2,766), women received an average grant amount of $126,615 versus $165,721 for men. For the 10 highest-funded grant types across all institutions, female principal investigators received an average award amount of $305,823 versus $316,350 for male principal investigators. One exception was R01 grants where women received $15,913 more than men. Female principal investigators at Big Ten universities received an average grant amount of $66,365 versus $148,076 for male principal investigators; at Ivy League schools, women received an average grant amount $52,190 versus $71,703; and at the top 50 NIH-funded institutions, first-time female awardees received an average grant amount of $93,916 versus $134,919 for men. Science suffers as a result of these inequities, Uzzi says. “Having women in science increases the rate of discovery in science and the quality of science overall,” Uzzi says. “Women in science don’t only add to discovery by bringing in the brain power from the other half of the human race, but also the culture of science.